Home AZKALS AZKALS heartthrobs cheering cheers football football team Go AZKALS Team Song soccer song soundtrack YouTube YouTube Video The 'Go AZKALS Go' Theme Song! 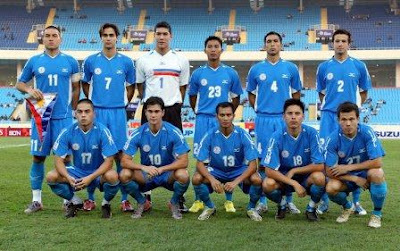 The hottest Philippine Football Team which is the AZKALS is getting more and more popular! They even have now lots and lots of exposures! And honestly speaking, I am now addicted to them! Because of being the hottest sports team in the country, a theme song for this team has been created! And it is entitled as "Go AZKALS Go!" The said team is so energetic! It cheers the AZKALS to strive and to show the best that they can! Great! Very nice artwork! Of course, I even love the music!